Whether you’re looking for the best crew networking events, want to check out world premiers of the newest superyachts, or simply want to enjoy something different, check out our featured list of the best events to attend this summer. Celebrating 35 years in existence, the Newport Charter Yacht Show is a showcase of luxury charter yachts alongside a display of ancillary goods and services for the charter industry. This four-day event is dedicated exclusively to yacht charter professionals; agents, owners, brokers and captains in the dynamic, picturesque setting of Newport, Rhode Island. 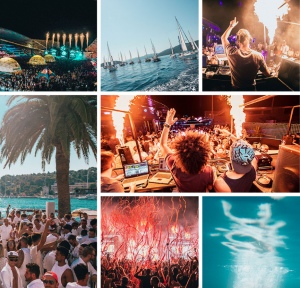 Whether you want to work it as crew or attend as a member of the public, this event combines the worlds of sailing and dance music with the theme ‘Sail by day. Dance by Night’. Embark on week long island hopping cruises with the best DJs in the world – sure to provide the experience of a lifetime. Main headliners include Carl Cox, David Guetta and Martin Garrix. Find out more. The annual Regatta of the BRITISH CLASSIC YACHT CLUB will see the 16th edition in 2017 and not only attracts entries from Britain but also regularly from Europe, and in 2016, from Australia and New Zealand. The regatta is an occasion for classic boat enthusiasts to enjoy good racing and to spend time with other sailors who share the same appreciation of classics. Find out more. Taking place every September in the elegant surroundings of the sparkling bay of Cannes, the Cannes Yachting Festival is Europe’s leading in-water boating event. The major players in pleasure yachting come here to launch the show season by showcasing their new worldwide models. With an itinerary full of event, this is the perfect place for networking. Find out more. Discover the latest previews of international yachting on display for visitors to the 57th Boat Show. 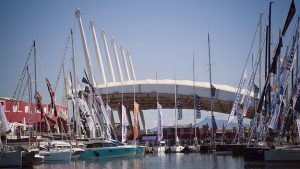 More than 1,000 boats will be on show, from the four traditional areas: sailing, outboard engines and inflatable boats, powerboats and motor yachts. The latest products of the national and international nautical industry will be displayed along a refurbished path with new docks and reserved areas. Find out more. Back for its 49th year, the Southampton Boat Show returns this September to witness thousands of people getting out on the water at the UK’s premier nautical event. Celebrating the lifestyle, fun and excitement that being on the water has to offer, join Britain’s biggest festival of boating for an event that’s not to be missed by crew. The wilsonhalligan team will also be there for the first time so be sure to meet up with our recruitment specialists to see what we can do for you. Find out more. Discover 125+ extraordinary one-off superyachts built by the world’s most respected shipyards. Welcoming over 590 leading companies from the yachting industry, the Monaco Yacht Show is a networking event like no other. Find out more. Returning for its 19th editions this September, Les Voiles de Saint-Tropez comprises of a week-long programme of both competitive and social events while showcasing the best of both classic and super modern yachts. Find out more.